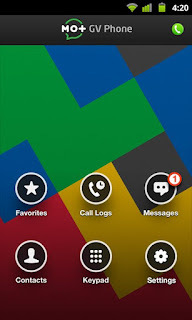 PHONE for Google Voice & GTalk (Android) - Make free calls over WiFi ~ Android Forever! 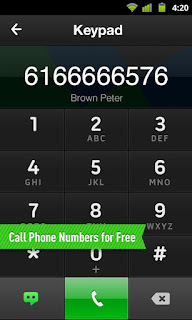 Developer Quote: "With your Google Talk/Voice account, you can call and text your GTalk friends and any number in the US and Canada for FREE! Wherever you go, as long as you have internet access, free phone calls and texting (to North America) are right at your fingertips!" - Always online. Call, chat and get connected with your GTalk friends, wherever you go. - High-quality voice calls. The services provided by Mo+ include high-quality voice calls which can enable you to chat with your friends just like face to face. - Easy to use. Start calling or texting with minimum taps.